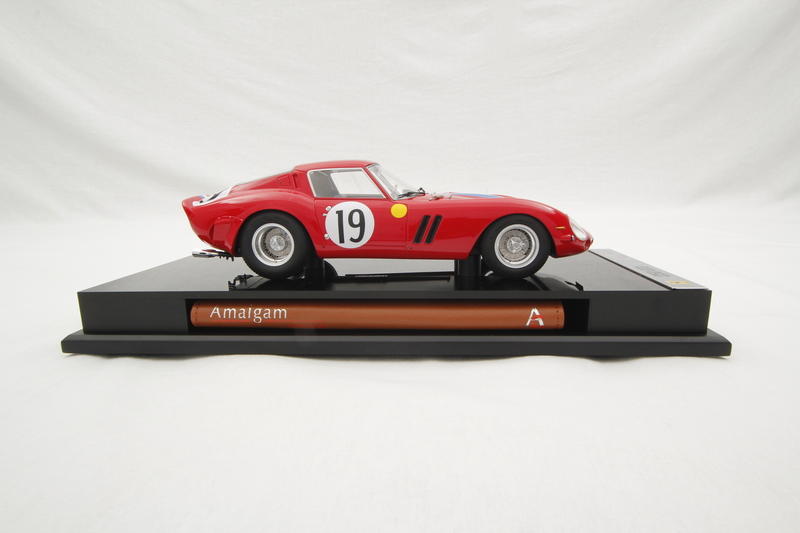 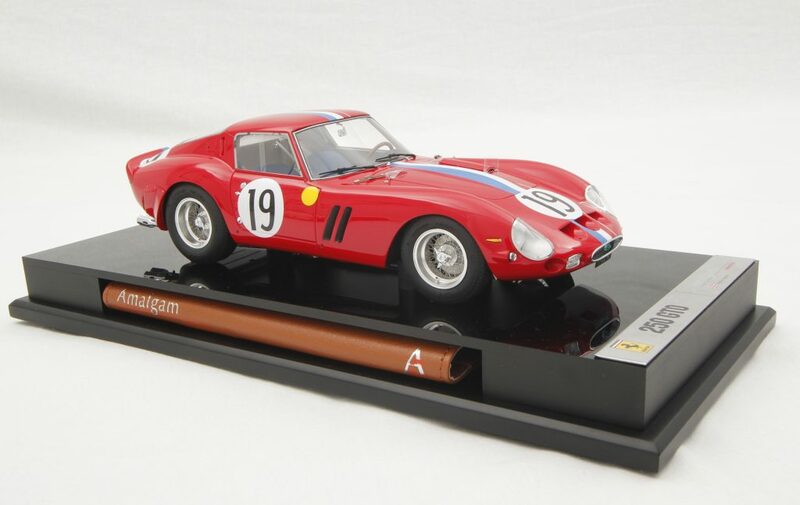 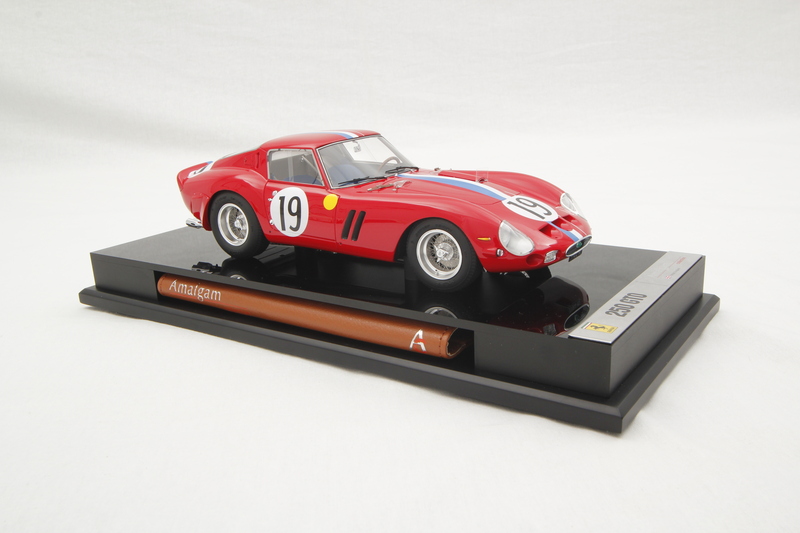 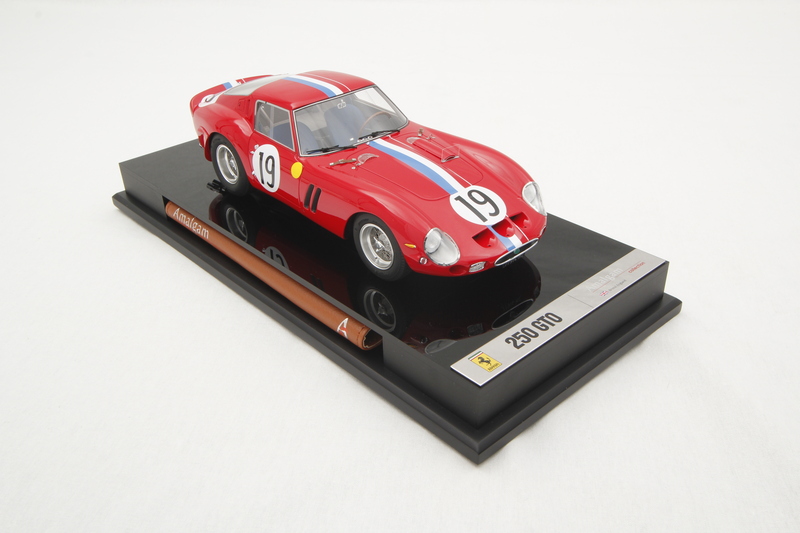 A brand new series of classic Le Mans Ferrari models from Amalgam. 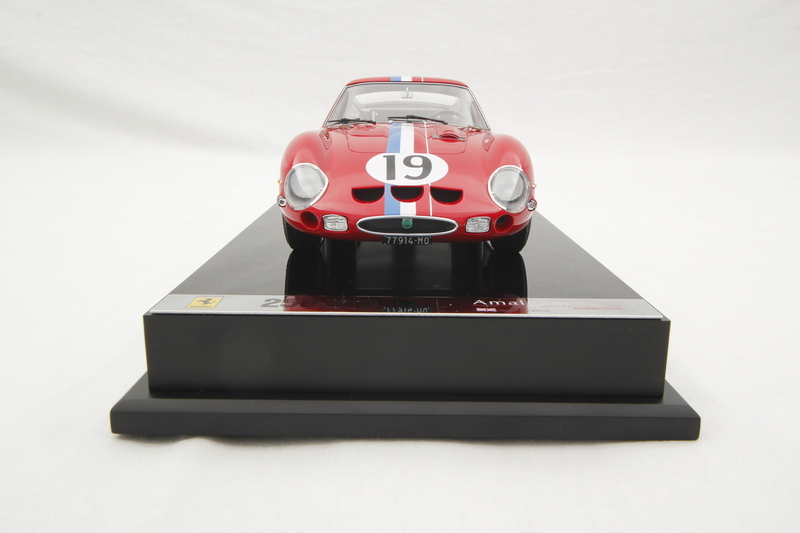 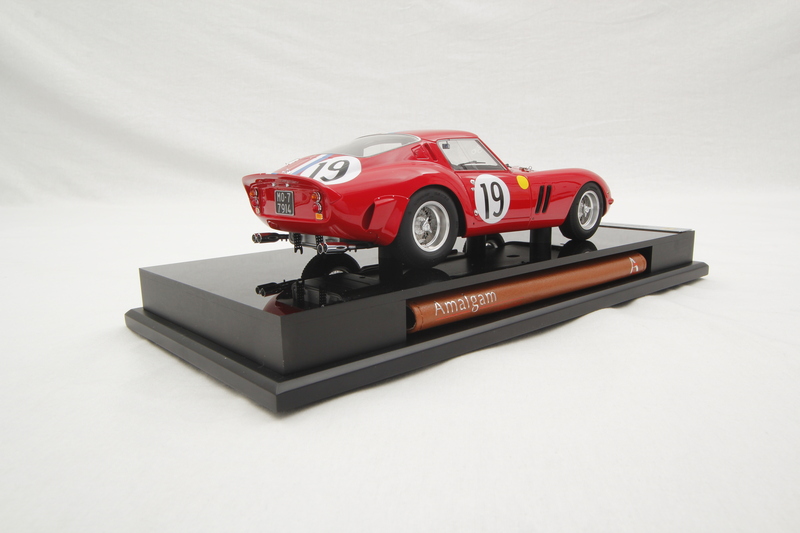 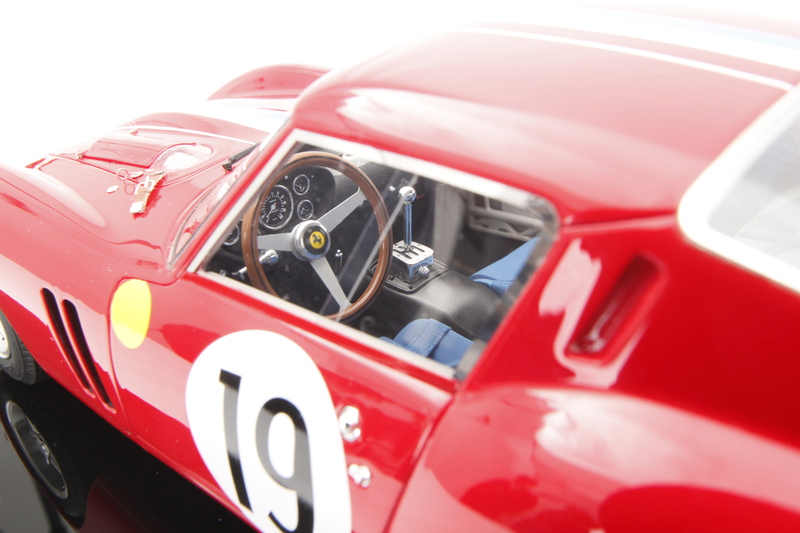 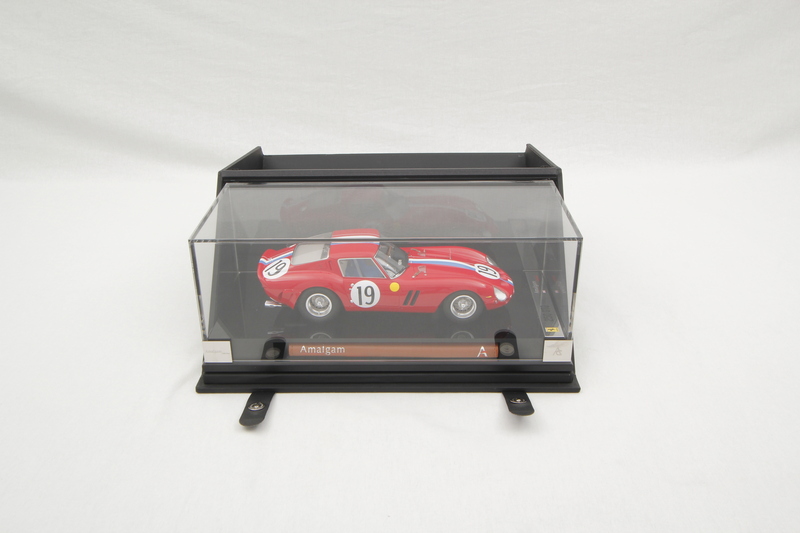 This 1:18 scale model is the first in the series: the Amalgam Ferrari 250 GTO #19 car. 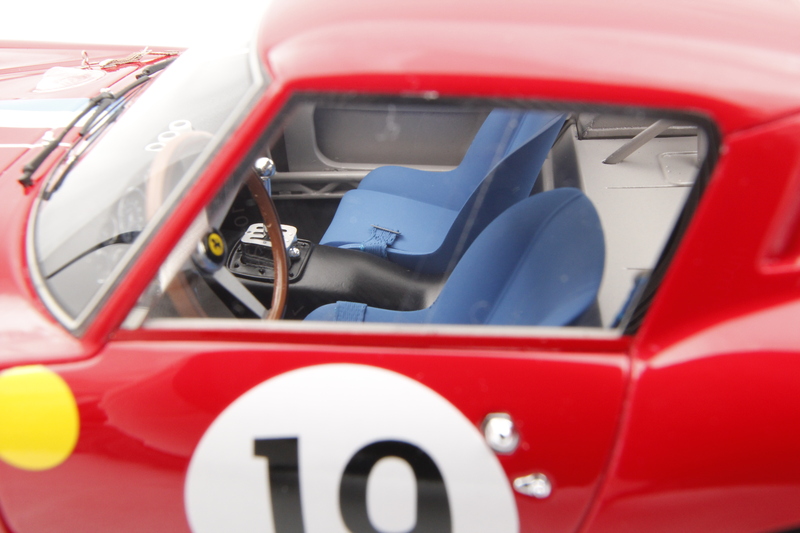 Driven by Pierre Noblet and Jean Guichet at Le Mans 1962. 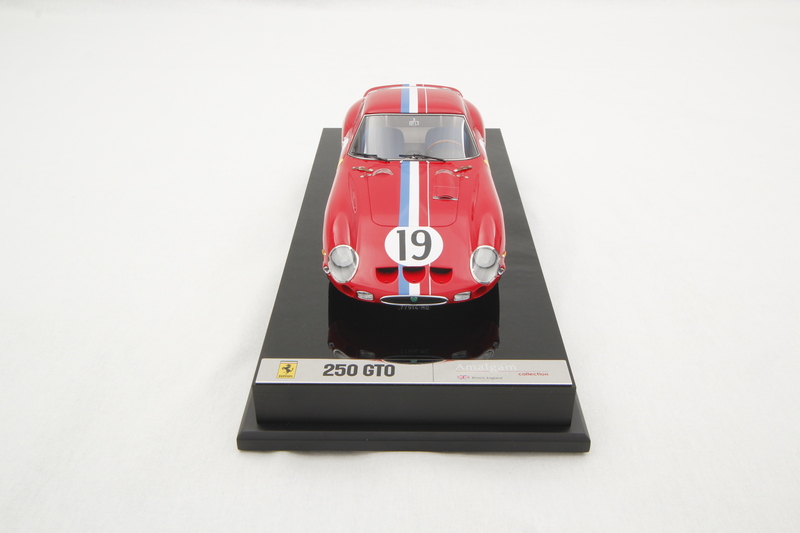 The 250 GTO came first in its class and second overall. 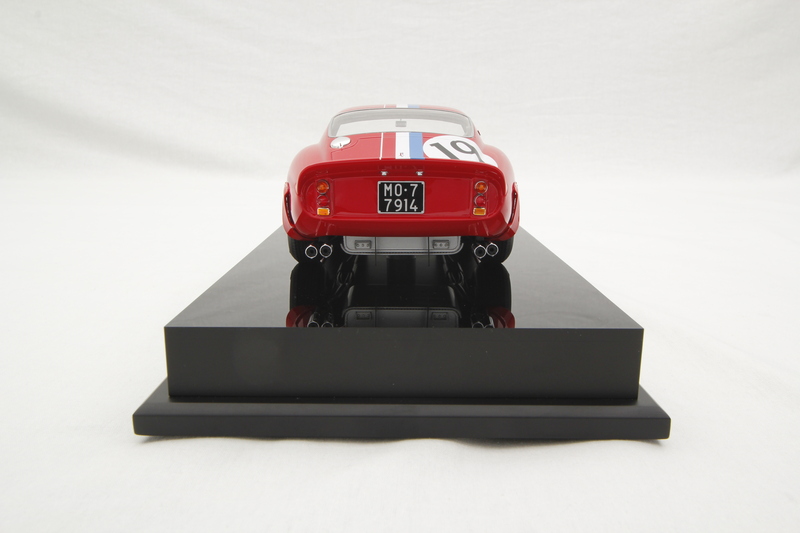 The model itself is a ‘kerbside’ model and sits on a black plinth with a plaque detailing the model. 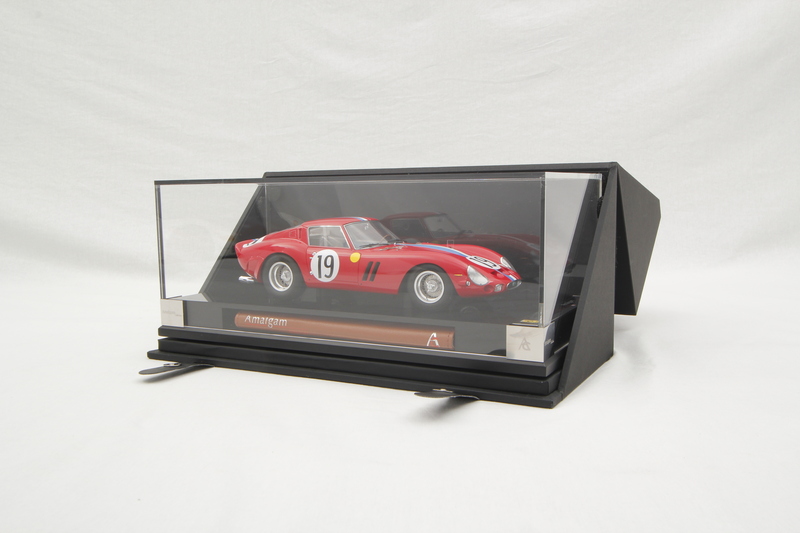 The model also comes with a perspex cover, a leather bound folder with pen, a notepad and additional model details.